HomePoliticsKarnatakaThere is also a return gift gift from the BJP in India for a strategy gift. In Madhya Pradesh, Rajasthan and Chhattisgarh, due to the assembly elections, political upheaval and chess chessboard are spreading, but in the Uttar Pradesh elections, the boats are now being played for Lok Sabha elections. After the conclusions of the Lok Sabha bypolls, the breakdown of the opposition coalition, which has come to an end, is now the first time. First, the Samajwadi Party of Akhilesh Yadav told the Congress its status in the coalition. After this, the BSP whose chief Mayawati declared Ajit Jogi in Chhattisgarh with him and declared that he will contest the elections alone in Madhya Pradesh. Correcting the right BSP leader and the party's only spokesperson, Sudhindra Bhadauriya, said that Mayawati is a stronger contender for the post of Prime Minister than Rahul Gandhi. Even in Uttar Pradesh, sitting in God trust, the Congress is still hoping for some miracle. He feels that suddenly the wind will change and Congress will be riding on horse horse in the Ashwamedh Yagya. However, the state organization of Uttar Pradesh Congress has not been able to stand still. The working president is Rajbhabar, but the team is only in the age of the old president. The party is hoping to cross the stamp of the election by creating a new media team in Uttar Pradesh. All other hopes are based on the fight of independence and the history of Congress. However, Congress leader Ghulam Nabi Azad, who came to Lucknow for a program, has publicly admitted that there is no possibility of a coalition now, but alliance in UP will definitely be there. 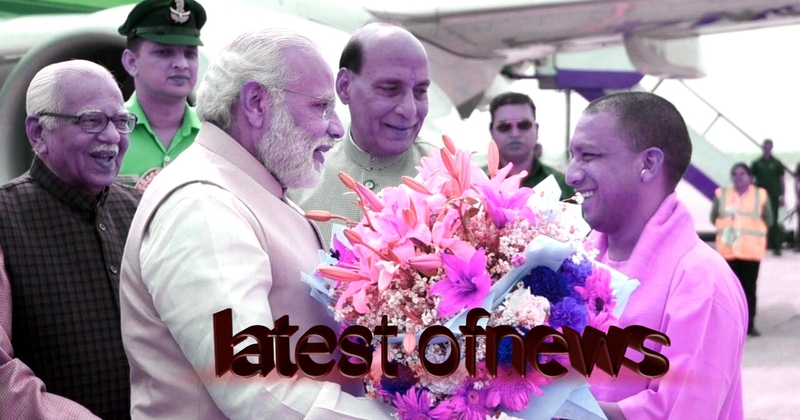 The Congress is not the only one in the sitting parties in the alliance of Uttar Pradesh. Akhilesh Yadav also hopes that his alliance with BSP has to be. The National Lok Dal of Ajit Singh is also in the hope of winning the one seat and the survival of the coalition. There are also some new contenders in the coalition's expectations. The first name of this is that of the Secular Front of Shivpal Singh Yadav. The second name is Raghuraj Pratap Singh alias Raja Bhaiya, who remained an ace of trump as an Independent from the years. Till now, looking at BJP, Ammar Singh is also seen active in making and spoiling the coalition's hopes. The first thing that Shivpal Yadav, who did not do any harm, has finally started cooking his own separate political slogan. His journey from the secular front has reached the progressive Samajwadi party. He has also applied for election symbol in the Election Commission. All districts have been declared their district presidents. A team of spokespersons have also become a tool for the media and now the Modi government has given them a luxurious bungalow vacant from Mayawati as the former Chief Minister's residence to do politics openly. Shivpal is now running his politics with this new stance. Shivpal is ready to consider that if a coalition proposal comes from the same thinking parties. That means the bungalow is big but the doors are open.Raghuraj Pratap Singh, who is running his own politics of being a non-party MLA for 25 years, has been a minister in every government of Uttar Pradesh after leaving Mayawati for the first time, enjoying status and power. Now, after completing 25 years in politics, Raja Bhaiyya has become more beneficial to party politics than independents. Therefore, on November 30, a political rally of Raja Bhaiya is going to be announced at a large rally in Lucknow. Over the years, Raja Bhaiya himself has been winning his assembly election from his constituency, Kunda and a nearby seat. None of the waves in the province could affect their victory. Although earlier, Raja Bhaiya had the opportunity to come out of his shell and become the leader of Kshatriya politics, but he avoided it. But now they want to get their political identities within the purview of any party before the 2019 Lok Sabha elections. According to him, by asking the opinion of his supporters through social media, he has decided to form a political party. On the other hand, Amar Singh also seems to be active in Uttar Pradesh's politics. Along with looking at the BJP's supporters, their goal is to take revenge on SP leader Azam Khan. That is why he has filed a report against Azam Khan on October 17 in Gomti Nagar police station of Lucknow after a Jagaran Yatra. In this, he has made serious allegations like damaging his image on Azam, threatening to kill his daughters, provoking riots and breaking the unity of the country. The clarity of the language and allegations of FIR show that this report is not a common criminal complaint but it also has clear political goals. The one common motive for these three political movements is to show that there are political ambitions behind them. But apparently it also shows that the Yogi Government is fully cooperating with them in promoting these political ambitions. In the case of deputation of Shivpal Singh Yadav's IAS son-in-law, the direction of the Central Government to help Shivpal by shifting the rules, the indications were not very ambiguous. To give the Mayawati bungalow to Shivpal, it is considered the next installment of this episode. Shivpal himself says, 'Our party will strengthen or harm the BJP, it is no longer my decision. We have stepped forward. Think about what you think about us. Shivpal, though, has lots of logic to make his party, but it also does not seem too unfortunate that after his neglect and humiliation in the Samajwadi Party and the family, they will seek help from their political opponents to sharpen their revolt. Are there. About Raja Bhaiya, it is already believed that he has been close to the BJP. Now with the overwhelming majority, the Uttar Pradesh government has strengthened this proximity by talking about giving the most famous Akhilesh Yadav's bungalow to the capital, Lucknow. Raja Bhaiya's new party may be a return gift of this bungalow for the BJP, it is believed. Though there are around 433 registered political parties in Uttar Pradesh, but the BJP's strategy created during the last Lok Sabha and assembly elections has spell out small political parties in the state. The limited support base of its own party was found in the Union Cabinet in the award for being with the BJP in the Lok Sabha elections. Similar awards after the assembly elections, Om Prakash Rajbhar, an unknown political party named Suhail Dev Bhartiya Samaj Party, also got the chair of the minister in Uttar Pradesh. This has also increased the likelihood of small political parties in Uttar Pradesh, because even after getting a seat the government has the possibility of holding stake. Some believe that the BJP is trying to minimize the votes of the Opposition by placing small regional or ethnic parties together or trying to break into opposition forts through them. It also weighs in Progressive Samajwadi Party can not even get seats in the Lok Sabha elections, but it will remain a challenge for Akhilesh Yadav. Likewise, Raja Bhaiya's party can not get its seats or, in the name of Kshatriya votes, it can create trouble for the Congress. Well, the discussions are about the attitude towards Mayawati that her strategy is not being decided by herself, rather the parrot whose life she is in is fixed according to the gestures of the cage owner. However, the Lok Sabha elections have begun knocking in Uttar Pradesh and the King or the uncle, all are decorating their own doors for the same.